For many people, it’s one of the best things about autumn. The return of football season means excitement, tradition and fun for fans and the many people who play football at all different levels. You only need to look at the TV ratings for championship games to get a sense of the sport’s popularity, but it’s also well known that football is a very rough sport and those who play the game are prone to injuries. At Total Chiropractic Care and Wellness, we see all types of injuries and we often treat sports-related injuries involving football and a variety of other sports as well. Chiropractic care can help boost your body’s range of motion by keeping your spine aligned properly. 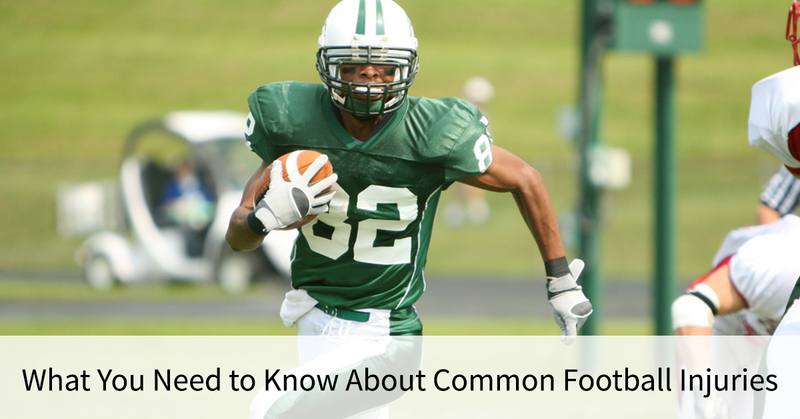 We want you to know about common football injuries and what you can do to care for them. According to the American Chiropractic Association, you’ll find chiropractors working for all 32 NFL teams. They’ve even formed the Professional Football Chiropractic Society. The group meets every year at the league scouting combine and members have access to continuing education hours. They also help chiropractors who work with minor league, college, high school and youth football teams. Among the common neuromusculoskeletal football injuries that chiropractors treat, are back and neck pain, hamstring and quadriceps strains. Hamstring, quadriceps and other muscle pains are usually caused by overuse, improper body mechanics and lack of conditioning according to the website Know Your Back. The first treatment option is rest. As pain decreases. the injured player should be given an exercise program designed to improve the strength and flexibility of their muscles. Another common football injury affects the neck and shoulders. They’re called “stingers” and they are pinched nerves which cause you to feel a stinging sensation in your arms. Sometimes ice or heat are used to treat this type of pain and reduce inflammation around the neck and shoulder muscles. If pain persists sometimes medication is prescribed to reduce or avoid inflammation as well. With neck and lower back pain, one thing doctors should try to avoid is surgery. A chiropractic adjustment can help as a method of pain management if you’re suffering from chronic pain. Medication should be used sparingly and surgery only as a last resort. At Total Chiropractic Care and Wellness, we will tell you if surgery is necessary. Dr. Todd Goldman understands the pain of sports injuries, he’s a former athlete who suffered an injury that required surgery himself. When he re-injured his back while running after he stopped playing competitive sports, an MRI showed that he had a herniated disc, it was determined that he needed surgery. Total Chiropractic Care and Wellness will also take every step possible to prevent surgery. We’ll consult with you about a treatment plan, often using chiropractic techniques, but we’ll also design a diet and exercise plan, to restore you to optimum health. To schedule a consultation, contact us today.